If you want to be a better supervisor, you need to know what employees are looking for when they consider working for you. 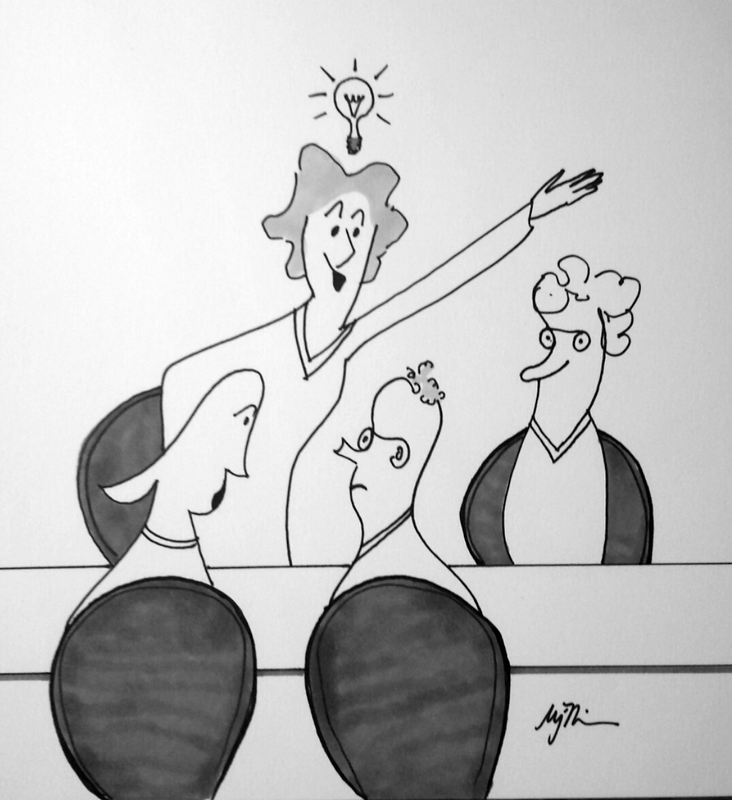 In the best interviews, the questions and evaluations take place on both sides of the table. They’re interviewing you as much as you’re interviewing them. There’s usually a lot of pressure to fill an empty position. You’re focused on your needs: what you need to accomplish, how this person will perform, and how they’ll work in your culture and with your team. Meanwhile, your staff is probably anxious to fill a gap and get some of the extra work they’re doing back where it belongs and off their overloaded plates. That’s a lot of pressure to find someone and plug the hole. But a good fit is critical, especially if you don’t want to be recruiting again in a few months. If you ask candidates what makes a good supervisor, two key responses come up consistently, regardless of the particular position or the level of responsibility: 1. Keep your door open and 2. Give me guidance, then turn me loose. It’s how we all want to be treated. 1. Keep your door open. We want to know that someone’s there who is vested in our success. Supervisors communicate that by being available, answering questions, helping us see the pitfalls and hurdles before we stumble, and being our advocates and mentors. You can’t do this from behind a closed door. 2. Give me guidance, then turn me loose. We crave autonomy, but we hate to find out we’ve been wasting our time heading down the wrong path. Don’t micromanage me, but don’t let me get so far off track that we’re in crisis mode cleaning up something that could have been prevented with decent communication. Hence the open door. Easy to do? Yes, when we’re relaxed, open, and not rushed. But the reality of our work world today is that we have to deliberately carve out the time (and intention) to meet these two basic needs. If we’re overloaded, rushing from meeting to meeting, or locked in our office trying to manage an overload of deadlines and responsibilities, it’s hard to open the door. It can also feel hard not to micro-manage (or ignore) our colleagues when the stress is getting to us. With January just around the corner, maybe this is a good time to set some new year’s goals for your supervisors and yourself. Just these two actions can go a long way to keeping solid relationships with the people in your work life. What else do you think employees want? And what do you plan to focus on next year? Instead, she worked around him, hoping he’d figure it out. We have probably all seen (or done!) this at work. It’s understandable. Most of us spend more time at work than any place else and it can seem easier to avoid, dodge, or preserve than to address a situation head-on. Especially if it’s a situation we’ve allowed to fester. The problem is this quick work-around is obvious to everyone – often even to the person who’s being avoided – and it undermines morale of entire groups. The person at the center of the problem doesn’t get a direct opportunity to address whatever’s going wrong, which is certainly not a way to preserve their dignity, and avoidance breeds cynicism and distrust. The telltale sign of a work-around is if you’re having a conversation about a problem with someone other than who the problem is about. When you avoid saying what needs to be said to the person who needs to hear it, you’re working around the problem. This can go from small things (not assigning a project) to organization-wide structures put in place to avoid one person’s behavior. The cost over time is much higher to work around the problem than to address it. If the manager had taken the direct report aside and told him clearly what the problem was, she could have communicated in a dignity-preserving manner what he needed to do to improve instead of leaving him wondering why people didn’t respect him or want to work with him. Nobody wants to be the kid other kids don’t like but we can’t figure out why. Say what others are afraid to say. Say the unsaid to the person who needs to hear it. Respect your colleagues enough to tell them what they need to hear. Feedback isn’t easy sometimes, but it’s the only way we grow. Delivered with compassion and good intent, it’s the essence of professional respect. If you change your behavior, people notice. In the absence of an explanation, they will make up a reason and we are a creative bunch! So tell them what’s going on. The more direct you can be about why you’re trying something different, the more likely they are to understand and, when it works, emulate your behaviors. If you’d like a straight forward read on how to work with others around you, The Power of the Other by Dr. Henry Cloud has specific examples you can apply to many situations. Love it? Hate it? Somewhere in the middle? All training is not created equal, and training to handle challenging situations can be deep, time intensive, and provoke a new level of growth for you and your team. When that’s the case, the skeptic becomes a supporter and your team grows. Keeping the momentum going after a successful training program is usually the hardest part. It requires commitment and dedication, buy-in from your critical players, and constant reminders. 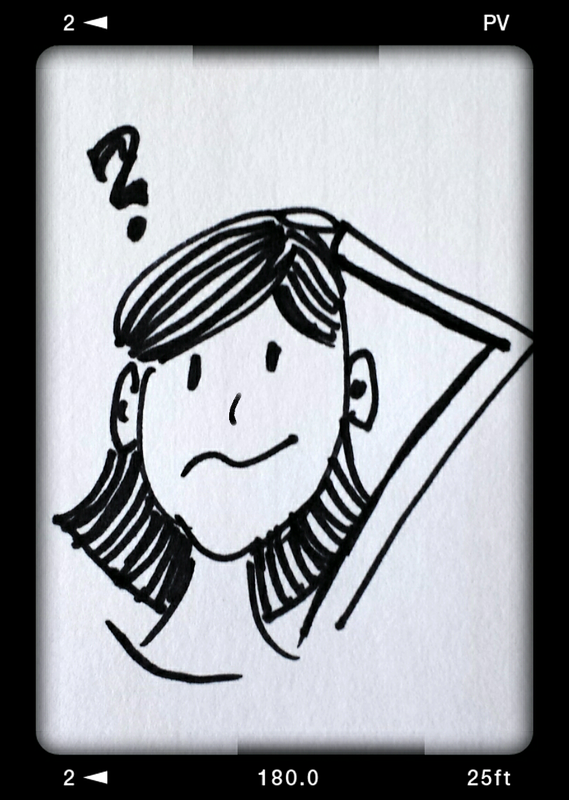 Team problem-solving is one of those complicated topics because it often focuses on moving through difficult moments. It’s complicated because teams are complicated – they’re full of people! Sometimes, the complexity that is so useful in teaching the skills of problem solving gets in the way of the long-term application. Ask: What information do you have? I also try to remember one primary point of ! Caution ! Don’t do this: make assumptions about your partner’s inner state. Once you start to listen for it, you hear a lot of assumptions about why people are doing things (they don’t like so-and-so, they’re preoccupied with something else, they’re not skilled enough). These assumptions are just that: your assumption, not a fact. Check yourself but asking how you’d react if someone stated that “fact” about you. You may be surprised to see how often you make these types of assumptions. Here’s an example of the four questions in action. Sandy has been given responsibility for managing three divisions that have not been performing well. She’s an up-and-coming worker in her organization but this is new territory for her. She’s had to learn new operations, build relationships, and try to sort through the opinions, facts, and the mountain of data that her division chiefs have brought to her in the past three months. Late on Friday, her boss, Ross, lets her know there’s a gap on the Board meeting agenda and he’d like Sandy to present an update. Sandy doesn’t feel ready and tells her boss she thinks they’ll have better news next month. Take a look at what Sandy’s NOT saying: I’m concerned that our numbers don’t look good and I won’t have a chance to talk to our managers in all three divisions before the Board meets on Tuesday. One has been out sick, one is on vacation and the other one always bombards me with data and spreadsheets instead of sharing real information. I’m worried that I won’t be prepared to answer questions and the Board will doubt my ability to manage this key transition. I don’t want to let my boss down by doing a bad job. And what Ross is NOT saying: I’d like to fill the agenda for the meeting next week, and Sandy is always willing to help out. If I can get her to just let them know we’re on it, the Board will probably ask me fewer questions between now and our next full update. I don’t want to have a hole in my agenda next week and I’m upset that Jason’s group bailed on me at the last minute, putting me in this position. Sandy asks what about an update to the Board is important to Ross. Ross says he just needs to give them something. Sandy acknowledges that he wants to update them and shares her concerns about communication with her group and how it will look to the Board if she has incomplete information. Ross asks what she could do by Tuesday. Sandy says she has preliminary information about what’s been done so far and she thinks she’ll have data in a week. Ross acknowledges she’s not going to be ready on Tuesday and shares that he primarily needs to fill a hole in the agenda. Sandy’s interests are good data and being professional for the Board. Ross’s interests are good data and keeping the meeting running smoothly. Together they solve the situation by agreeing on a preview-presentation at the meeting with a report to follow. It’s a better outcome for them both, and avoids a weekend of stewing about uncooperative staff and worrying about an upcoming presentation. I hope Ask-Acknowledge-Share-Solve works for you. I talked to a friend of mine who is in the construction phase of her dream life. Literally. She’s building a farm from the ground up and it’s full of space for start-up farmers, heritage animals, and other yet-to-be-imagined ventures. She then went on to talk about the challenges of beginning this new venture. Coming from the corporate world, where petty cash is accounted for and everyone gets “the rules,” she was stunned to realize that people would steal tools, that cash would go missing, and that the rules weren’t as black and white as before. Her father was a general contractor and she was marveling at his ability to come home day after day with love and respect for his family. “I had no idea what he was dealing with at work, he was just there for us,” she said. She said it was a turning point. She’s never been so nonjudgmental about the people around her before. It’s easy to make assumptions. We think we know why people do or say things in a certain way, but if we ask them, we are often surprised. Someone asked me why I thought a particular individual was asking for information. Was he trying to make this person look bad? Was he trying to second guess this person’s decision? With this story fresh on my mind, a thousand (or at least a few) other, alternate, explanations sprang to mind while they were talking. We’re quick to assume it’s about us. Something we said, something we fear, something we did. When we let go of our stories about why we think people are doing things, we’re able to ask the Why question. And often, it turns out, it’s not all about us. I think this home-grown lesson will stick with me for quite a while. When I was traveling a few weeks ago, my husband and I were flying different airlines. When I got to baggage claim, I realized his flight wasn’t coming to my terminal. I asked the woman at the information desk where to find his airline. She told me it arrived at a terminal three miles away. I gave her my details. She could have just answered my question and let me barrel off. Instead, she took the time to ask for information and to offer some clear thinking when I was frazzled from the flight. There’s a lot of discussion and research available about how to move from positions (I have to do this) to interests (what am I really after – might I get there in a way that gets you there too?). Asking “Why?” may be your best move. Why? Maybe because we’re after a piece of data. Or maybe we’re trying to be sure something that happened once doesn’t happen again, but we’ve put an overly complicated system to place to guard us from that possibility. 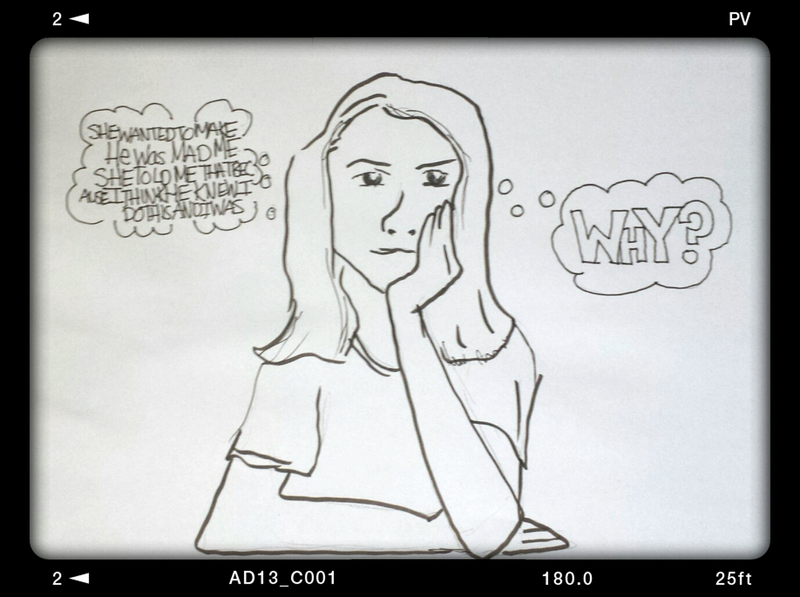 Asking “why?” makes you consider your underlying interests and your reasoning. Now that everyone is on the same software, both functions are tracked in the same system. There was no longer a need for the sequencing, but the process hadn’t changed. It took us 3 minutes to make that change. That was a great question. I had the privilege of speaking at the national American Planning Association conference this past week about creating concurrence from conflict. Planners? They’re the folks in your community who are grappling with complex questions: how should we grow? do we have enough affordable housing? traffic? sustainability and resiliency as the global climate changes? The buzz was about technology, apps for managing community input, mapping, and social media and yet, when I headed down the stairs to our session, the hallway was overflowing with people who wanted to talk about how to deal with people face-to-face. In this age of digital interface, personal interactions are still where it’s at. Digital can be loud, it can be very effective, and it can rouse us from our apathy to take part in the workings of our local government. On the receiving end, digital makes the world move faster and faster, comments come in on a tidal wave, and well-orchestrated campaigns can entirely shift the tenor of a conversation. After two years of putting together a thoughtful plan with a great amount of public input and consensus, a small, well-organized and well-funded group entered the discussion. They funded some slick advertisements, ran them on the local TV channels, and completely changed the tenor of the conversation. Two years of careful consensus-building was voted down in one meeting. That happens. It’s democracy in action. Why should we bother with the face-to-face when it might all go down the tubes? Because we are human beings. We need to connect. When we do, our relationships flourish and our understanding of each others’ perspectives can broaden our own point of view. We learn from each other. 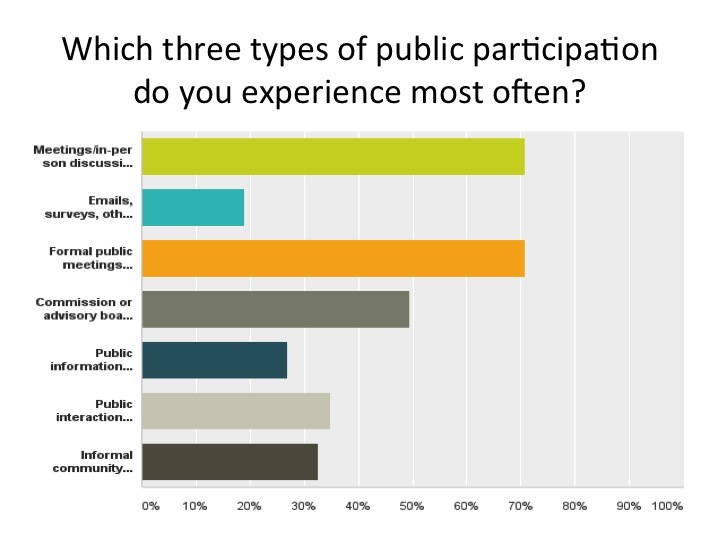 In an informal survey of planners, the top three ways in which they interacted with stakeholders was in formal meetings (public hearings, advisory boards) and in face-to-face meetings. We have to know how to interact in person. This is not always easy. It’s hard to meet someone halfway when they’re angry. In fact, you usually have to go more than half way. If you’re a local government employee today, you are probably overworked in an environment with a low level of trust and satisfaction in government. This is a shame because just about everyone I know who works in local government does so by choice. There is a deep satisfaction in going home at night knowing that you’ve spent your day working for the betterment of your community. Whether you repair pot-holes, recycle waste, design streets, or try to help your town figure out how to grow in an enduring way, you’ve bought in to the future. Yet you’re often met with distrust, demands you can’t meet, and a level of anger and negativity that can be daunting and discouraging. Get to know the people you work for. Sit down with them. Talk it out. Almost without exception, when you can help get past the us-them dynamic to a conversation about what we all have in common, you knit the fabric together, tighter. After all, most of us want the same things from our communities: A safe place to live, meaningful work, education for our children, choices about how we spend our time, and places to interact with each other. It’s often as easy as asking: can we talk? You may be surprised by how often the answer is: yes! At my freshman orientation for college (year omitted!) the university’s president said “Don’t be like ducks, with opportunity rolling off your backs like raindrops. Take advantage.” I thought I got it. I wasn’t going to be that duck. I chased a lot of rain, which was great. For a while. Looking back, I realized he forgot a key point: Don’t forget to pick a puddle. If you find your puddle and fill it with the things you care about most, you get the good out of it. Puddles don’t have to be small and limiting. They should have room for the things you’re focused on – family, key career ambitions, personal growth – and they should’t overflow with things that distract you from your integral purpose. Picking a puddle brings focus. It also means saying “no” to the distractions. The nice-to-have resume builder that you don’t really care about? No, thank you. The I-really-should obligation? Maybe there’s someone out there who actually wants to do that one. This idea really hit home for me when my kids were little. There were other moms in their preschools who volunteered in the mornings and put together events. I worked. I scrabbled time off to go to the early-afternoon cupcake party or the holiday parade, but every time I passed on the sign-up list I felt like I was letting my kids down or somehow being a second-rate mom. I realized that I had to make peace with this situation or drive myself batty. So I focused on what I could do. I took good care of my kids. I provided supplies. I attended the events the other parents organized. And I let got of feeling like I wasn’t doing enough to pitch in. Much of my work has been community-focused, taking time and energy during evenings and weekends. That’s my puddle. My kids’ well-being is my puddle. They didn’t care whether I was being a super-mom in everyone else’s eyes. They just wanted to know that I came to their event and that I cared about them. That was enough. Be purposeful in your career. Purposeful is not the same as ambitious. Ambition is great. Positive ambition moves us forward, gives us direction, and helps make the world a better place. Ambition alone can be directionless. It can propel us through choices, through jobs, through decisions yet still leave us hunting for the next gold star or seal of approval. Purpose depends on understanding what’s important to you and making your decisions with both your short-term satisfaction and your long-term interests in mind. Purpose helps you shape decisions, see opportunities, and follow a path that may not always be direct or clear, but brings you meaning along the way. Other people I’ve known have been deliberate about taking only opportunities that delighted them at the moment and are left wondering where all the time and money went. I’ve done both. Taken jobs because they were safe or necessary. Taken risks because I felt cornered. It wasn’t until I started to develop a better sense of my puddle and my purpose that I could begin to make decisions with some long-term meaning. For some people, this appears to be easy. They seem to know their purpose and pursue it with great intention. When I listen to my friends, co-workers and family though, I believe that most of us don’t have this kind of singular drive. In a world of endless opportunities and choices, this part of career management is a learned art. Learning yourself is a good place to start. Don’t stay in bad relationships. We’ve all gossiped about someone in a bad relationship. Why doesn’t she leave him? Can’t he see what’s wrong with this situation? Most of us know that it’s really hard to see from the inside what we clearly see (or think we see) from the outside. We stay for many reasons. We fear failure and loss. We rationalize, we make excuses, we don’t question our story about how we arrived here and why we stay. But our story is just that. It’s a story we tell ourselves about the path we’ve followed, the choices we’ve made, and how they all hang together. The thing to remember is that we are writing that story all the time. When you find yourself stuck, wondering where the love went, it’s time to put on your best-friend-perspective and try to see your situation from the outside. If a co-worker is consistently egging you into situations you’re not comfortable with, maybe it’s time for a new relationship. If you’re not feeling fulfilled by the choices you’re making about your time, maybe it’s time to choose differently. Sometimes we stay because we “owe it to them.” Loyalty is good. But be sure you’re being honest. Loyalty that’s a cover for fear, insecurity, or failure to reflect is not good. It’s fine – admirable – to be loyal, and, like with any good relationship, you will change, you will grow, and you can participate in the relationship to make sure you’re getting what you need out of it. That’s when everybody comes out stronger. There are a lot of people out there who are willing to tell you what your weaknesses are and how to fix them. It’s easy to get sidetracked into a self-bending case of triple-i: Insecurity, inadequacy, inferiority. Don’t go there. Find out what you’re really good at and focus on that first. Great with numbers? Master everything you can about budgets, financing, and software. Good at people? Get some experience mediating, leading discussions, and public speaking. Shine. You’re the numbers guru but not great at public speaking? Offer to make a budget presentation to your group. Take your strength and use it to support your attempts to fill in your gaps. Great at leading teams but terrible at meeting deadlines? Get your best performing team together and poll them for suggestions. Then put them in play. Any change requires discipline, doubling up something that’s easy for you to do with something you need to improve gives you more energy to pull through the tough parts. Here’s the exception to “don’t obsess.” If there’s one thing I think we should all obsess over, it’s learning how to have difficult conversations. Figure out what you fear (confrontation, anger, being wrong, being vulnerable) and find out how to get better at it. There are resources out there. Read them. Learn them. Practice. This is one skill that you can, and should, master. It will make you better at everything. It’ll happen to you. The thing you didn’t expect that knocks you off your track. It may be temporary, it may be life-altering. It will happen. Probably more than once. It’s probably happening to someone you work with right now. Take a moment to say hello. Notice something. Ask a question. Those people you work with? The ones who annoy you, don’t meet your deadlines, and can’t see what’s completely obvious to anyone who would stop to think for two seconds? There’s probably something good about each and every one of them. Some of the best conversations I’ve had have been with people I didn’t particularly like at the time. But if you’re willing to set that aside and listen, you may find that they’re only human. They have lives, problems, and people who drive them crazy. You may be one of them. You never know when somebody is trying to manage a sick parent in another state, dealing with a rocky marriage, or worried about a kid in trouble. All you can do is respect them as fellow human beings and try to do your best. I’ve had the good fortune to know what it’s like to work with people of integrity, to work with a sense of purpose, and to feel compassion and care for the people around me. I’ve also known what it’s like to be a nameless cog, to be looked down upon, and to feel under-appreciated and unfulfilled. In those circumstances, it’s difficult to bring our best to the table. When I found myself babysitting the monster of all copiers for days on end, shuffling different colored papers in and out of trays and tugging torn bits of confetti from the guts of that toner-laden beast, I was not bringing what I had to offer to the picture. Her confidence gave me hope at a time when I really needed it. Those are the people we remember. Maybe if someone had handed me this list years ago, it wouldn’t have meant anything to me, but eventually enough experiences run together and there you have it – your puddle. Do you agree with these two truths for ending the blame game? The rate with which germs have been flying around reminded me of a conversation I had with a close friend not too long ago. 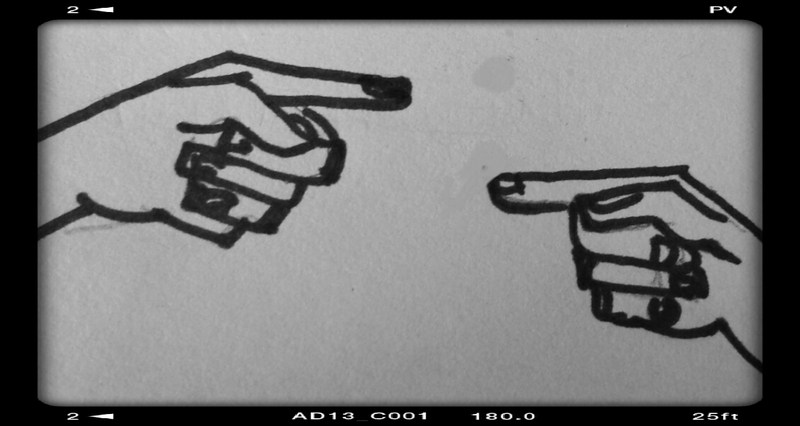 She was wondering why everyone is so quick to point the finger, sending the blame flying around the room from person to person. “Why do we spend more time figuring out who’s to blame and defending ourselves than we spend just fixing the problem?” she asked. No matter who we blame, we can be pretty unforgiving. And sometimes it’s for keeps. Especially online. I am part of the situation. I may see how you are part of the situation. I had to stop for a moment after I typed that and screw my courage to the sticking place. It’s a whole lot easier to focus on the second one, but that tends to turn into putting all the responsibility on the other person and it’s rare for any one person to be entirely to blame for a situation. Instead of hunting for a scapegoat, it’s useful to think about how we’ve contributed and how the other person may have knowingly or unknowingly contributed to the problem. You don’t typically go into your work with malicious intent, right? Well, your co-workers probably don’t either. There are a host of explanations for why people act the way they do and why they make the decisions they do. If we assume the worst of them and don’t bother to ask them, we’re really only operating with half the play book. At best. For argument’s sake, let’s assume you’ve made your peace with the two truths and you’re ready to begin putting them into play. How’s that going to work? In my friend’s example, after she described her work-place, I imagined some sort of dysfunctional family holiday where she would walk in and announce “I’m part of the problem! So are all of you and I can tell you what you’re doing wrong!” Yikes. Pass the turkey. You may be in an environment where you’re ready, collectively, to take that big step. Or you may need practice. Beginning with the smaller situations may be easier. Ask someone you’re on good terms with to observe you in action and to share their point of view – it could help you uncover your role. Spend some time disentangling your observations about what someone else did versus why you think someone did something – it could help you discover their role in a way you can share. This is key because nobody wants to be told why they’re doing something (you’ll probably get it wrong). But they can probably have a conversation about what specific things happened and their impact on the task at hand. Practicing with these two truths in smaller situations can help warm your team up for the big game. This is really complicated and I’m curious what other people are experiencing. I’m waiting for my friend to let me know what changes in her workplace, what about you? Have you tried to deal with the blame game in your workplace? If so, what do you think? Do you think the two truths hold? 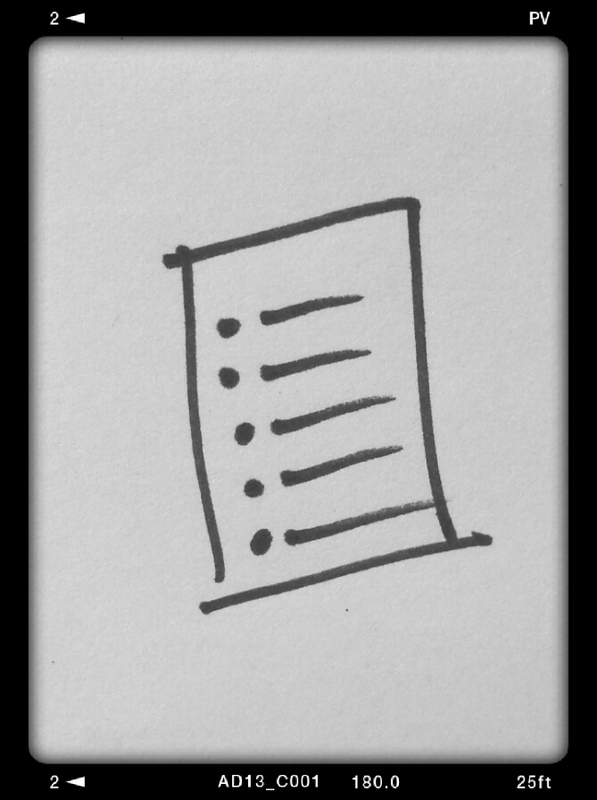 Whether you’re a resolution-maker or not, it’s hard to escape the lists of suggestions for new tasks, goals, and ideas that sprout this time of the year. Personally, I love resolutions. I have years worth of left-over lists, some kept, some not. This year, I’m taking a new approach. I’m making just one resolution that I hope will have a positive impact on others: send fewer emails. If I had to name one thing I hate right now, it’s my inbox. Crammed to overflowing with conversations I don’t need to be part of, general announcements, and strings of people trying to figure out when to meet and where, I just about want to rip my hair out when I see that dreaded “unread” number creeping up and up and up. There are gems of important information in there. Nuggets of real work. But it’s like panning for gold. Backbreaking, endless, tedium that occasionally yields a flake or two of sunshine. And I’m pretty sure the good stuff is buried just downstream. But if you really aren’t ready or able to get off email, what are your options? You can find lots of online wisdom if you google “taking back your inbox” and “how to manage email” but they tend to read like instruction manuals for a better gold panning contraption. I toyed with this idea last year (way back in 2014), but I didn’t make a focused effort. I dabbled, I deleted, I tried to be disciplined. But I still reverted to typing three cryptic words and hitting send when I was in a hurry. Of course, those hurried emails bounced right back at me, asking for clarification, more information, or sparking a series of conversational notes. This year, I’m getting serious. Contribute less to the mess. Do I need to say this? Does it offer new, relevant, or helpful information? Or am I contributing to an e-conversation that would be better handled in person? Am I sending this email as a placeholder? To let someone know I’m on it? Or to send responsibility to someone else just to get a task out of my inbox? Is there a better way to complete it now? Am I writing with a sense of purpose and clarity? Am I being complete but not overly wordy? Will this email generate questions and additional emails that I could handle with a phone call now? Is there an emotion involved that will come through better on the phone? Is this an opportunity to interact, make a connection, complete the task and get moving? I’m hoping that this one goal – fewer sent emails – will open up some space for the working and thinking we all crave. That’s where the real gold lies. 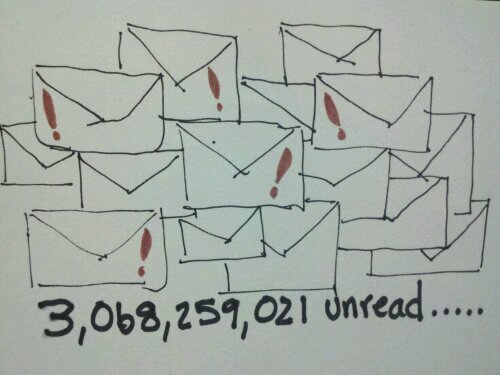 Here’s wishing you fewer emails and better communications for 2015.